Heats lotion to soften cuticles and condition nails, contoured hand rest, On/Off switch and light indicator, 6ft cord, 3 disposable lotion cups and 8oz conditioning lotion. Round handle polished stainless steel construction, both ends (large spoon 3/8" wide and small spoon 1/4" wide) are curved to prevent slip of the cuticle. You can use the small spoon to apply dipped acrylic powder on nail wrap. 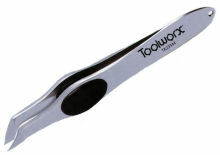 Polished stainless steel construction, spoon on one end and a pointed cleaner at the other end. 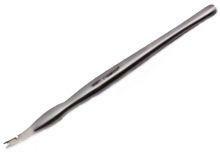 The pointed cleaner end is great for cleaning under nails and lifting out ingrown toenails. The spoon end is 1/4" wide. Polished stainless steel construction, spoon on one end and a scoop at the other end. The scoop end cleans the dirt under your nails, giving your nails a great look. The spoon end is 3/8" wide. 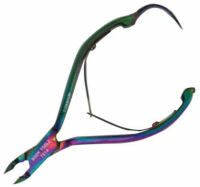 Variety pack includes 3 sizes of two-sided cuticle pushers. Comfortable design prevents hand fatigue. Sanitizable and chemical proof. The original tool to make straight, round and well cuts. 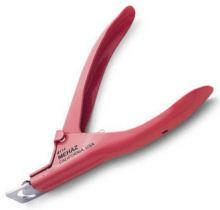 An efficient way to cut tips and acrylic nails, with one easy slice - no cracking or shattering. Saves filing time. Handle is ergonomically designed. Fits comfortably in the hand; opens and closes smoothly with minimum resistance. Easy to change blade. Highest quality stainless steel, will not rust. NOTE: Replacement blade also comes with a new spring and washer. Heavy duty nail clipper with curve cutting blades. Sharp curve edges for precise cutting of natural nails, toe nails, and acrylic tips. Heavy duty nail clipper with straight cutting blades. Sharp straight edges for precise cutting of natural nails, toe nails, and acrylic tips. Small nail clipper with curve cutting blades. Small enough to slip into a purse. 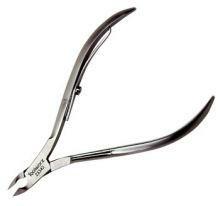 Beautiful, sharp and everlasting Titanium Nipper - everything you need for the perfect manicure or pedicure. The blades are razor sharp with precision tips for a smooth cut. Round box joint with double spring. Titanium is rust proof and long lasting. Made from Rock Hard Titanium. 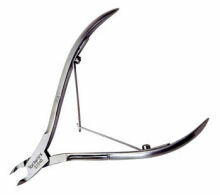 Premium Acrylic Nipper is designed for easy removal of acrylic. Double spring for smooth even cutting action. 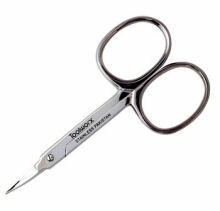 Lockable handles to protect the cutting tips. Fits easily into your hand. Extremely Sharp! Cuts every time! 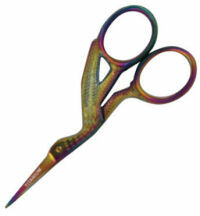 High Quality Titanium Stork Scissor is used for china silk, embroidery and nail-wraps. This blade is sharp and cuts the entire length of the blade. Extremely attractive and cuts every time. Titanium is extremely hard and will not dull. 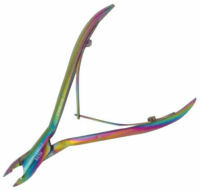 Stainless steel, cuticle nipper and hangnail trimmer with slip-proof grip. For trimming cuticles and hangnails for a neat, well-manicured appearance. Best when used after showering or softening cuticles by soaking hands in warm water. 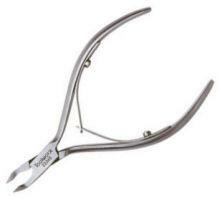 Do not use cuticle nippers on acrylic nails. 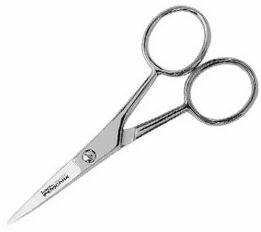 Sanitizable, stainless steel, v-shaped blade trims away cuticles and hangnails with ease for a neat, well-manicured appearance. 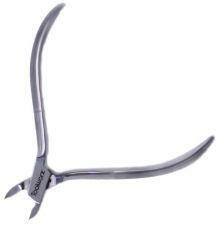 Rounded spade pushes back cuticle with ease and comfort. Contoured grooves on handle provide a firm and comfortable grip. Best when used after showering or softening cuticles by soaking hands in warm water. Stainless steel. Smooth double spring design with extra strength for easy removal of acrylics and wraps. Stainless steel, double spring design for smooth operation. For trimming cuticles and hangnails for a neat, well-manicured appearance. Best when used after showering or softening cuticles by soaking hands in warm water. Stainless steel, hidden spring design. For trimming cuticles and hangnails for a neat, well-manicured appearance. Best when used after showering or softening cuticles by soaking hands in warm water. Stainless steel, single spring action. For trimming cuticles and hangnails for a neat, well-manicured appearance. Best when used after showering or softening cuticles by soaking hands in warm water. Stainless steel. Sharp, straight blade with smooth cutting action. Stainless steel, towerpoint. Extra fine tips for easy and precise trimming of cuticles and hangnails for a neat, well-manicured appearance. 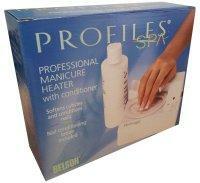 Best when used after showering or softening cuticles by soaking hands in warm water. Long-lasting, two-sided, chrome file. 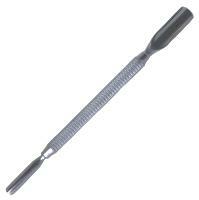 Great for shaping and finishing nails. Plastic tip handle for gentle cuticle care. Drills through nail tips to attach decorative nail jewelry.